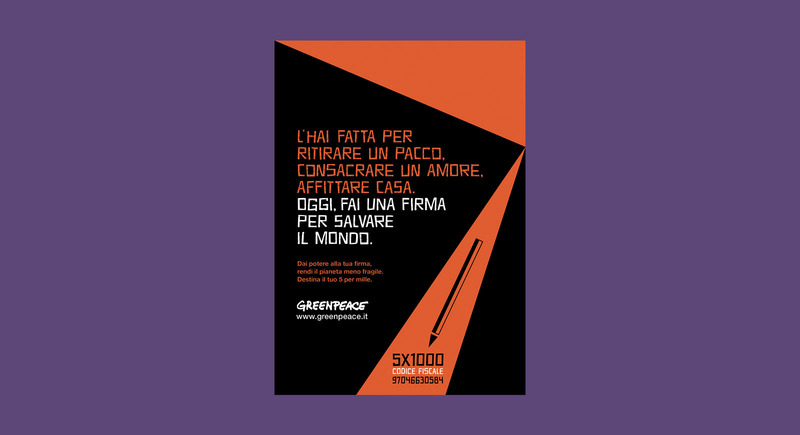 Greenpeace requested an integrated campaign to be delivered across press, television and the web. 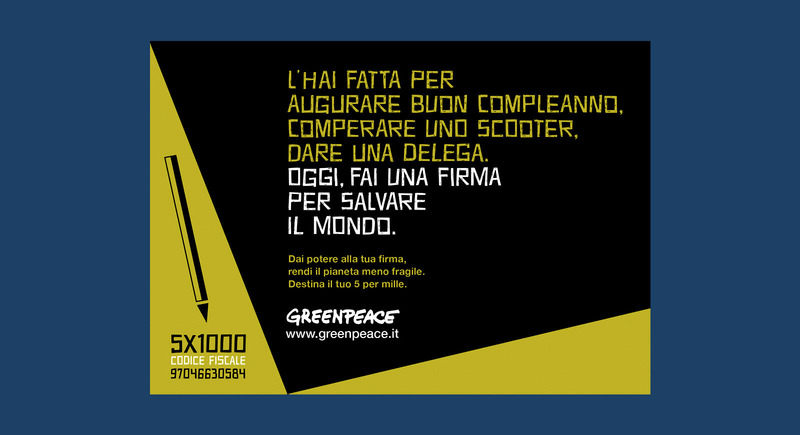 It needed to be simple and have a strong impact in order to convince people to donate their 5x1000* to Greenpeace. The creative idea was born from the false assumption that the world is saved by big gestures, distant from everyday life. 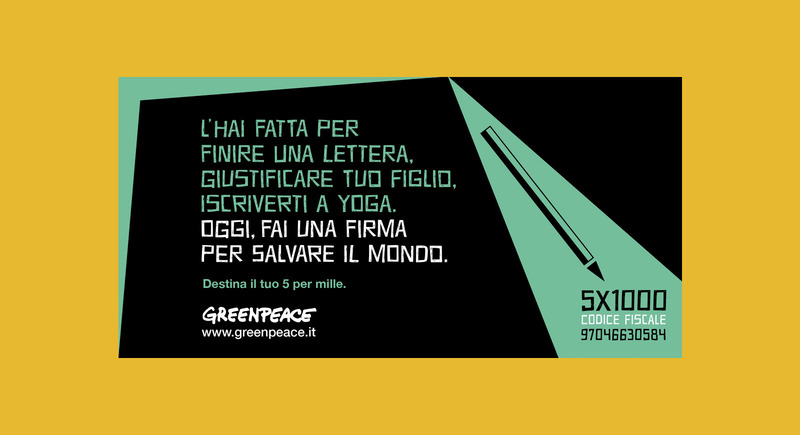 Instead, by giving the 5x1000 to Greenpeace, we can literally change the destiny of our planet with a gesture as simple as a signature. The very same signature we use in our life for futile and banal reasons that for once can become the key to make the world a better place. *5x1000 is a means of donating to non-profit organisations from income tax payments without any further contribution from the tax payer.